Dr Rebecca Johnson is the Director of the Australian Museum Research Institute at the Australian Museum. 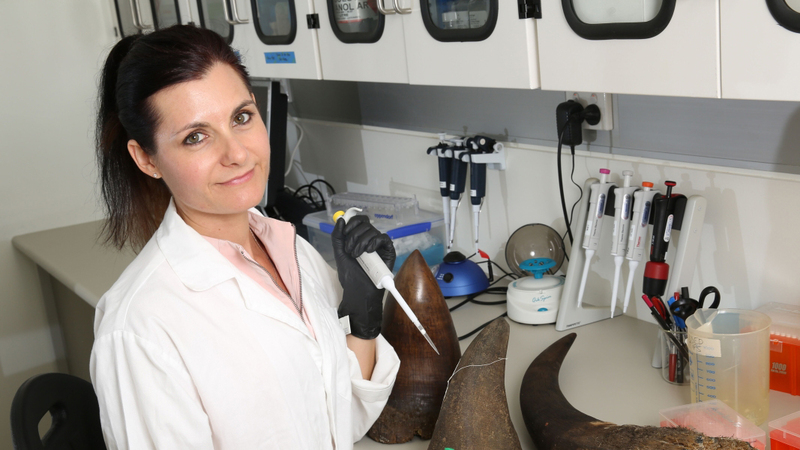 She has established the Museum as a global leader in wildlife forensics and conservation genomics accredited through the Australian Centre for Wildlife Genomics facilities (ISO17025). In addition, Rebecca is the NSW Branch president of the Australian & New Zealand Forensic Science Society, Director of Membership & Outreach for the Society for Wildlife Forensic Science and represents the Museum on numerous government and industry committees. With a PhD specialising in molecular evolutionary genetics (La Trobe University, Melbourne), Rebecca is also a wildlife forensic scientist, conservation geneticist, co-chief investigator of the Koala Genome Consortium, a member of the Australian Academy of Forensic Sciences and a certified examiner in wildlife forensics under Commonwealth Legislation. As an adjunct Professor of the University of Sydney, Rebecca holds an Alumni Award for Professional Achievement and has been recognised for her innovation as one of the 2016 Westpac 100 Women of Influence in Australia. Rebecca is a global speaker and thought leader in a number of specialist areas including conservation genomics, wildlife forensics and STEM education. She is truly passionate about making a difference through science.